The tenure of the current Deputy Vice-Chancellor (Administration) will end on June 10, 2018. 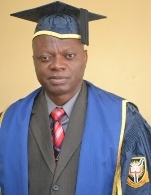 In accordance with the provision of Section 4(2) and (3) of Decree no 11 of 1993 (NOW Act 1993): where a vacancy occurs in the post of the Deputy-Vice Chancellor, the Vice-Chancellor shall forward to Senate a list of two candidates for the post of Deputy Vice-Chancellor that is vacant for election and the candidate with the majority of votes cast will be elected and his/her name forwarded to Council for confirmation. Election to fill the position will hold on Monday, 28 May, 2018 from 9.00am till 12.00noon at the Senate Chamber. The votes would be counted during the regular meeting of Senate that follows at the same venue.